Honest Folks doing an honest job to provide true transparency. We Deliver to Your Doorstep! Receive VIP treatment from our staff by allowing us to deliver your vehicle to the driveway. Finance Finesse: Find the perfect financing fit you’re comfortable with through a wide range of various banks. Want warranty, GAP, or added aftermarket parts & upgrades? Pick our brain until you know all of the ins and outs. Texas-Sized Selection! We give you freedom to choose from any of our 11 dealerships. You can drive home with confidence in the vehicle that you chose, or maybe the vehicle that chose you. The Stanley Express Deal. WANT TO SAVE TIME? Of course you do, who doesn’t? Fill out our online credit application! We’ll do our best to quickly get you on the road in the right vehicle for you. New vehicle pricing includes all offers and incentives. Tax, Title and Tags not included in vehicle prices shown and must be paid by the purchaser. While great effort is made to ensure the accuracy of the information on this site, errors do occur so please verify information with a customer service rep. This is easily done by calling us at (866) 672-0036 or by visiting us at the dealership. 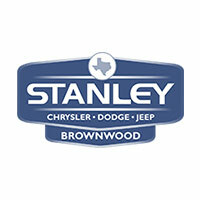 Stanley Chrysler Dodge Jeep Ram Brownwood	31.7286674, -98.9999933.